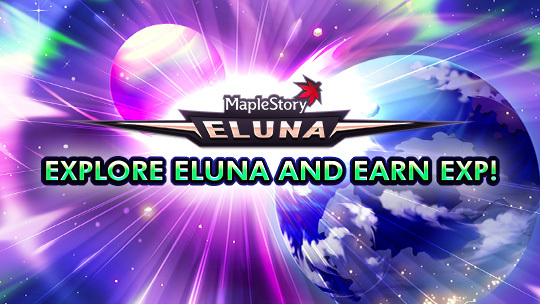 Starting today, "MapleStory" players will be able to venture into the planet of Eluna to collect EXP crystals. The event will end on Aug 29 and is part of the Override: Venture update that was released on July 19. Players will have 30 minutes to collect as much Elunite Crystals as possible to gain EXP. It will be possible to obtain minerals by hunting monsters, completing challenges, overcoming traps, and more. There are a total of 20 missions to complete, each with fairly valuable rewards. Upon completion of the missions, players will receive the Prospector Box which will have a special medal and scrolls. Nexon America will also create a Test Server (PTS) for MapleStory where players can test and preview content and events before they are released to the public. It will be open for a while in August. The requirements to participate in the PTS are: to be active in the game in the last 3 months, have no ban and at least a character of level 100 or above. For more news, visit the official website of the game.